Description: This seasonal release is lovely combination, where a venerable style of German lager meets a rauchbier (smoke beer). It is brewed using honey and beechwood-smoked malt, which is then double-fermented and mildly hopped. This creates a beer that is smooth, rich, smokey and tangy, and nicely refreshing! Tasting Notes: Smoke beers are generally kind of hit and miss for me. But this one has a range of flavors that manage to complement each other quite nicely. The smoked malt go well with the doppelbock’s natural tang, which are cut nicely by the natural malty flavor and the addition of honey. Description: Yet another limited release by the Parallel 49 Brewery, this beer is fashioned in the historic lager style known as doppelbock, which monastic have been producing since the 18th century for the consumption of German royalty and nobility. This beer uses a combination of Pilsner and Munich malts and is fermented and aged for an extended period to give it a dark, rich, and more alcoholic profile. Tasting Notes: This latest release from P49 was certainly consistent with what I’ve come to know about bocks and doppelbocks. It was dark, rich, especially malty, and had a smooth, velvety profile. In addition, it has a discernible hint of vanilla that makes it especially drinkable and appetizing, in addition to a hint of herbal hops that – when combined with its other flavors – are reminiscent of Jagermeister and herb liquor. Winter beer is such a fun phenomena, mainly because it results in deep, rich ales that boast a lot of flavor but are still smooth and drinkable. 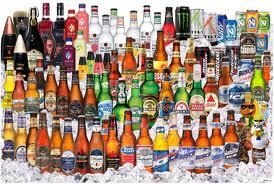 And of course, they combine all this with a high alcohol content. Yes, winter beer reminds us of simpler times when the winter season was cold, windy, and people stayed warm by liquoring up with something which stuck to their ribs! And in that respect, I have secured my latest winter seasonal, Phillips Instigator Doppelbock! In keeping with the Phillips tradition of limited releases and seasonal beers, Instigator is back for the winter of 2012. And much like its predecessors, it’s a dark, smooth, semi-sweet, and quite strong, everything one would expect from a Doppelbock! In many ways, I was reminded of Creemore Urbock and Hoyne’s Best Bock, and believe me, that’s a flattering comparison. Much like these other fine beer – both of which I look forward to drinking again very soon! – it boasted the right kind of smooth, semi-sweet flavor with a very clean, drinkable profile. Comparatively speaking, it was somewhat lighter, but still a winner in my book! Glad I picked it up at my local watering hole! Rejoice, beer snobs, for this is great new indeed! After years of fruitless searching, trying in vain to find a supplier of beer that carried the venerated Schneider und Sohn Aventinus Heffeweizen Doppelbock, I was about ready to give up. Be it a private liquor store or the province-run BCL, again and again I was told that they either did not carry this product, that it was not something I was likely to find in BC, or they just looked at me blankly like they didn’t have the slightest idea what I was talking about. I can remember fondly being introduced to this beer roughly a decade ago. It was my first time walking into Vineyard Bistro, located in the heart of the Bytown Market in Ottawa. Unfamiliar to the territory and still only a beer snobblet, I asked the barkeep for something tall, dark, German and strong, emphasizing that I was talking about beer. He immediately handed me a bottle of this and a tall, fluted glass. It took me a few samplings to appreciate the taste of the bock-style wheat, but once I acquired it, I was hooked! Since that time, I never miss an opportunity to pick up an Aventinus whenever I find myself in Ottawa or anywhere in Ontario. You can’t imagine how crestfallen I was when I first moved to BC and found that it simply didn’t exist here, a fact which still makes no sense to me. Schneider-Weisse, the more well-known wheat beer that is brewed by the same brewery, is readily available in BCL liquor stores. So is their Eisbock for that matter. That seem right to you? Some new samples from back in September 2011. Another Big Flavor beer and a session ale from the new brewery that opened up in Tofino. Wishing it and the Lighthouse signature line many happy returns! Well, that’s about it for now. Stay tuned for a review of SoBo’s! Tonifo’s premiere restaurant specializing in Sophisticated Bohemian cuisine! SoBo’s, get it? P.S. : Here’s the link to Tofino’s new upstart. From what little I’ve seen, they do good work, and are in a great position to serve real beer to plenty of thirsty travellers! Continuing with my theme for Dec of 2010, I dedicated this next review to a local favorite by Lighthouse Brewery. Not only was it the second installment in my “Month of Doppelbock” series, it was the second in the line of “Big Flavor” beers by Lighthouse that I would come to sample and enjoy. Look for the full review of the “Big Flavor” series, coming up in a few posts! It’s called Navigator Doppelbock, and is part of their “Small Brewery-Big Flavour” line which includes last month’s Shipwrecked (see below). Weighing in at a hefty 8.5 percent alcohol, this customer has strong malts and hops but is balanced by a sweet, smooth finish. It is like most Doppelbocks in that it delivers a strong punch in a velvet glove. A little too sweet for me, but that’s a matter of personal preference. As far as Doppelbock’s go, it delivers and is faithful to the brewing tradition, not to mention a pleasure to drink. 4/5 for this one! Honourable Mention: (3.75/5)Old Cellar Dweller Barley Wine. Though not a doppelbock, I felt this brew was close enough to sneak in. And since I am a big fan of the Driftwood Brewery (especially since the creation of Fat Tug IPA), I also wanted to give it a review. Much like Doppelbock’s, barley wines are renowned for their strength, intensity, and fruity flavour. This beer is certainly no stranger to any of those qualifiers, being strong, sweet, and with intense tawny flavour! It’s also a whopping 12 percent alcohol, so its not for the uninitiated or faint of heart. All that being said, not my favorite barley wine. It’s strength and sweetness can be overwhelming at times, which is not good if all you’re looking for is an enjoyable drinking experience. If, however, you are looking for a challenge and aren’t afraid of getting a little smashed, then it’s right up your alley! 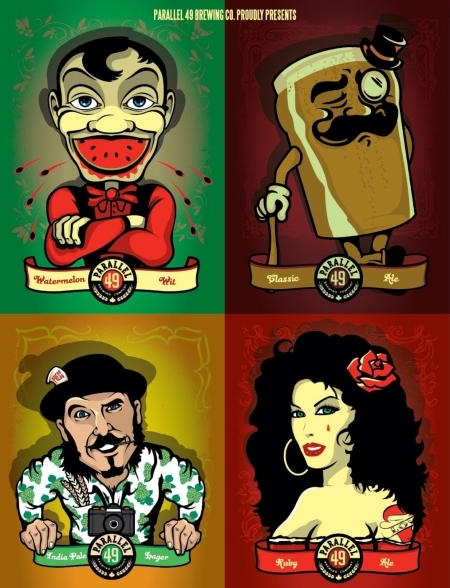 December 2010, much like November of 2010 for me, was dedicated to a specific type of beer. As usual, I went on a whim and decided to pick the very thing that seemed to be making inroads as far as craft brewing was concerned. In addition, it just happened to be seasonally appropriate. As the title suggests, that choice was Doppelbock! Enjoy! 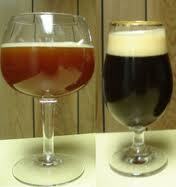 Bock is a type of strong lager developed in Germany during the Middle Ages. It was considered the aristocrats beer of choice, beating even wine for the privilege of being the snob’s choice of libation. Doppelbock is the stronger version of this beer, meaning double, as in double-fermented. In the last few centuries, countless varieties of Bock and Doppelbock have been produced, and no one person could ever enjoy them all. But I will do my best! 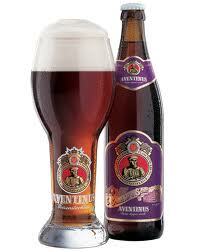 Aventinus: (5/5) By Schneider-Weisse breweries, this wheat doppelbock is one of my favorite beers of all time. It is only fitting then that I dedicate my first review to it. It’s long been a source of consternation for me that I can’t find it here in BC, but since I’ve drank so many over the years, I hardly have to drink it again in order to give it a good review. For starters, this beer is a complex, challenging brew that requires some education before it can be fully appreciated. First, one should familiarize themselves with the rather unique flavor of wheat beer (weissbier or hefeweizen), and second, become familiar with the deep and rich flavor typical of doppelbock. Then, and only then, should someone try to drink this beer! I recall ordering my first one at the Vineyards establishment, located in the Byward Market of Ottawa. I was new and asked for something tall, dark, and German (with the addendum that I wasn’t a gay man out for a fun time!). The barkeep handed my an Aventinus, which just happened to be the brew masters favorite. It struck me as odd, being fruity, malty, with notes of chocolate and a tang that was reminiscent of Jagermeister. But in time, it came to be one of my favorites, and every time I go to Ottawa for a visit, I’m sure to stock up! Available in half-liter bottles, and at 8 percent alcohol per volume, it’s also highly intoxicating! Drink up!